The U.S. Surgeon General’s report on alcohol and drugs—the first ever devoted to this topic—should be a reference document for every opioid treatment program (OTP) and treatment provider in the country. The report, released November 17 by the Office of the Surgeon General, Vivek H. Murthy, MD, MBA, is comprehensive, accurate, and written by the brain trust of the addiction treatment research community. It took 18 months to write. Editors included H. Westley Clark, MD, JD, dean’s executive professor of public health at Santa Clara University. The report includes 76 mentions of methadone, 90 mentions of buprenorphine, and 56 mentions of naltrexone, but only eight mentions of extended-release naltrexone—with some mentions citing the use of naltrexone in treating alcohol use disorders. As is fitting with a scholarly publication, brand names (eg, Vivitrol, extended-release naltrexone) are not mentioned. It’s telling that the main medications cited for treating opioid use disorders (OUDs) are opioid agonists. This report should be read repeatedly online. In digital form, it is technically superb, easily searchable. For reference, this should be the go-to resource for everyone, handed out to patients and clinicians, family members and administrators. It includes chapters on neurobiology, treatment, recovery, prevention, and other topics. Finally, it’s easy to read. Hold on to this through the next year or two. 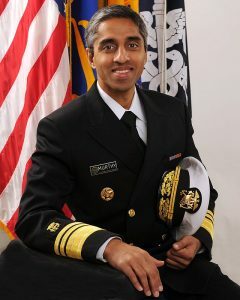 The Surgeon General has two more years to serve the administration, guiding the science on addiction policy. With this report to share, nobody can question the evidence behind medication-assisted treatment. For more information—and the full report—go to https://addiction.surgeongeneral.gov/.